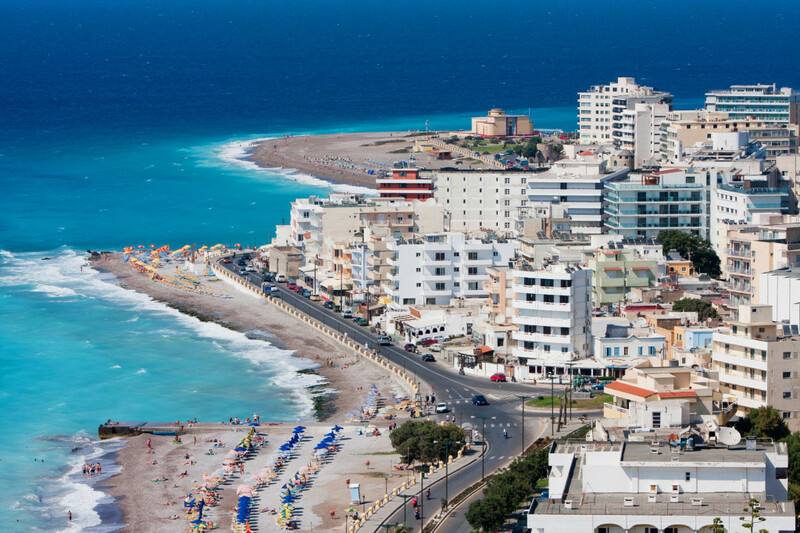 The “queen” of the Dodecanese, and one of the most visited amongst Greek islands, Rhodes is an ideal destination for families, youngsters, couples and group tourists. The reason is that it combines everything: a wide variety of golden beaches, restaurants and vibrant nightlife–spots, exciting nature, fascinating architecture, many sightseeing options and, last but not least, the valuable recognition as an UNESCO World Heritage Site. 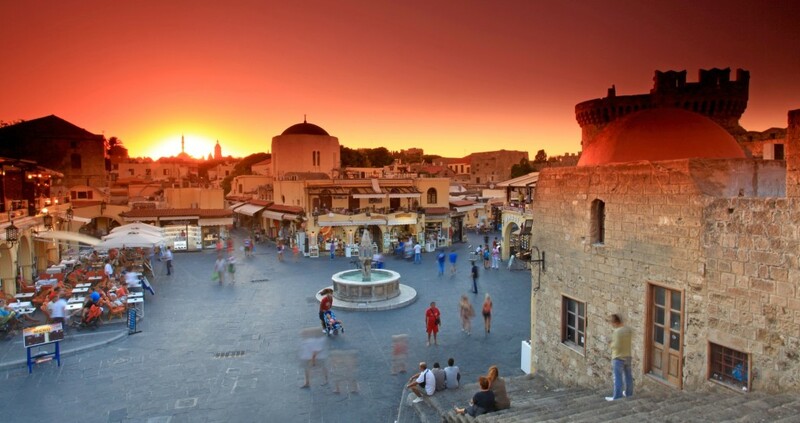 Also known as “the island of Knights” –as it was formerly conquered by the Knights of Saint John-, Rhodes is a place where the past and the present meet in the most graceful manner, rendering its medieval old town as the island’s trademark, contributing to a fairytale atmosphere. 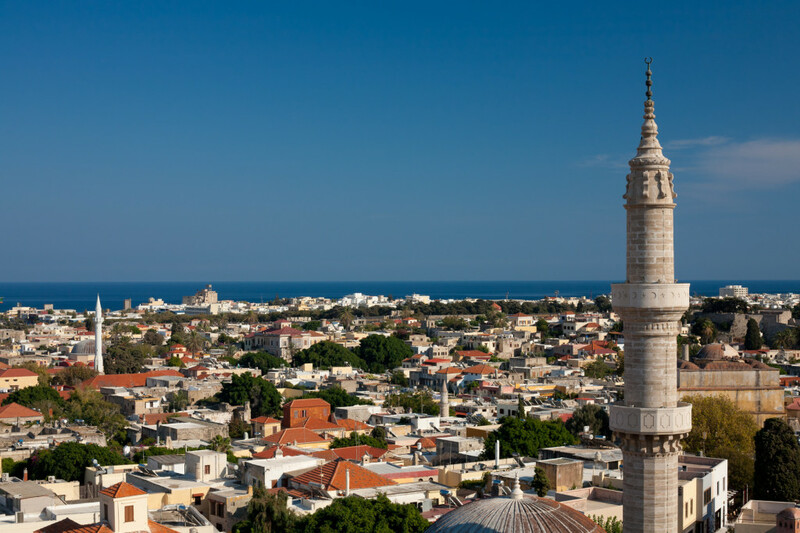 The island combines a mix of past civilizations –the orthodox, catholic, jewish and muslim cultural and religious elements are omnipresent– with a traditional Greek aroma, while offering all the modern conveniences a visitor could ever ask. 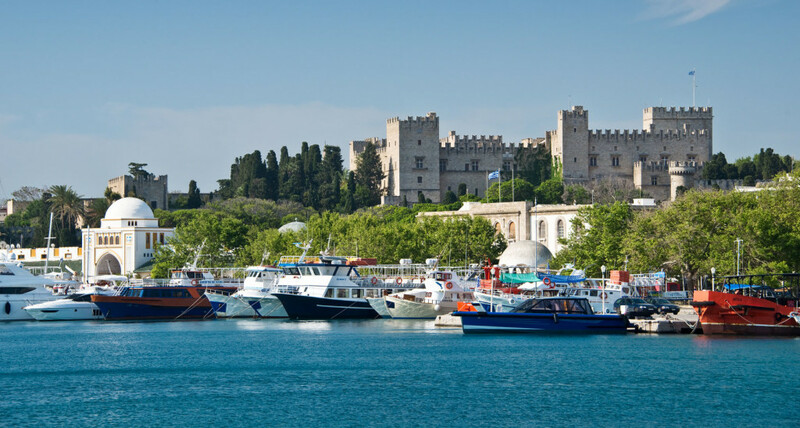 This remarkable diversity guarantees that, regardless your age, preferences or marital status, you will definitely wave “goodbye” to Rhodes with a smile upon your face. Every year between May and September, this small valley is inundated by thousands of Jersey tiger (Panaxia Quadripunctaria) butterflies. Visitors have the excellent opportunity to see a unique phenomenon, plus enjoy the natural beauties of the site. 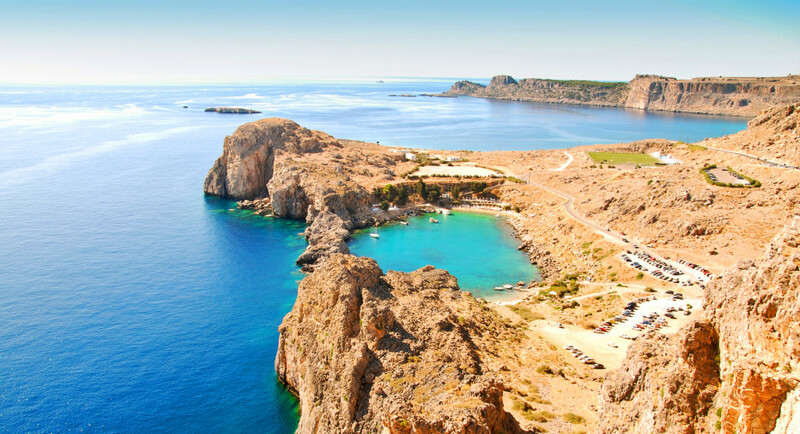 No wonder why Lindos, Rhodes’ prominent ancient city, is one of the top archaeological attractions found in the Greek islands. The settlement’s former grandeur and prosperity reflects mainly on its fortified acropolis. It stands at the top of a huge rock and embraces the ruins of the 4th c temple of Athena Lindia, the Ancient Theatre, the Propylea, the Hellenistic Stoa and the byzantine church of Agios Ioannis (the region also features the ancient monuments of the tomb of Kleovoulos and Archokratio). 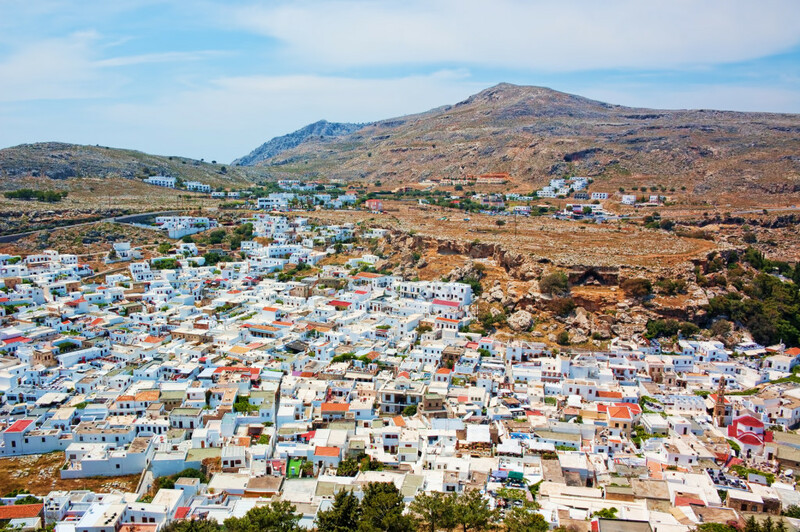 Under the acropolis, lies the village of Lindos, with Cycladic whitewashed houses, its trademark captains’ mansions, cobbled alleys and a lovely beach. It’s better to visit Lindos early in the morning, in order to avoid tourist masses. Admire the Italian era public buildings (the National Theatre, Post Office, Town Hall, etc), as well as the renovated historic Grande Albergo delle Rose (now the Casino). 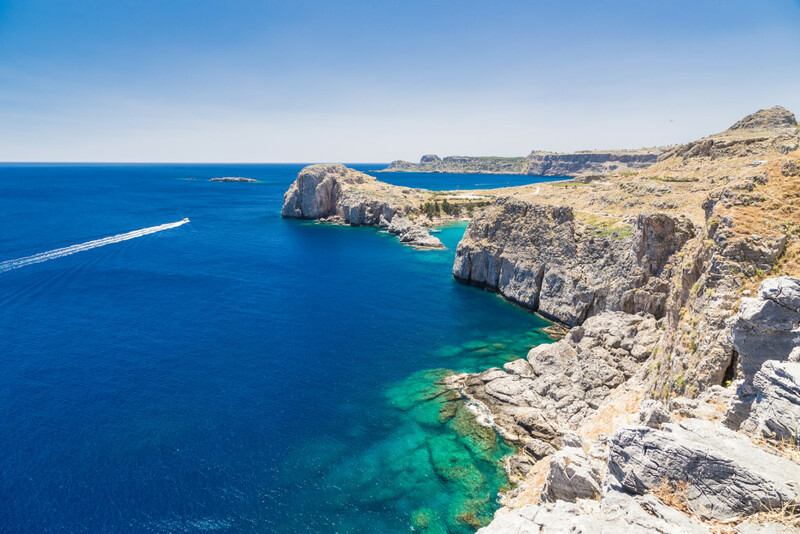 Stroll around Mandraki, the town’s small port with the trademark deer statue and visit Rhodes’ Aquarium (Hellenic Centre for Marine Research), one of the most important in Greece. At the outskirts of the New Town, relax at Rodini Park, an impressive small valley with lush vegetation, streams and paths (the region also features a number of ancient sights worth seeing). Enjoy panoramic views from the hill of Agios Stefanos (or Monte Smith), where you can walk through the town’s archaeological park and see the acropolis of ancient Rhodes, the stadium of Diagoras, theatre, temple of Apollo Pythios, etc. Visit the mountainous Profitis Ilias, Archangelos (famous for its pottery), Embona (well known for its wineries), the colorful and picturesque Lachania, the peaceful Vati, but also Apollona, Siana, Koskinou and Genadi, among others. The medieval castle of Achangelos at the area of Kerami, the castle at the area of Monolithos (built at the top of a huge steep rock by the Knights of St. John, it offers magnificent views, especially in sunset) , the Knights’ castle of Asklipion, situated at the village of the same name, the castle of Kritinia (also known as Kastelos), a combination of byzantine and medieval style. Rhodes offers all types of activities. You can find facilities to practice water sports (sailing, windsurfing, kite surfing, diving), cycling and mountain bike, horse riding, golf and many more. Moreover, there are 18 marked footpaths to hike on the island. Last but not least, don’t miss the famed Water Park, situated at the popular resort of Faliraki (it’s the largest in Europe and offers high quality services). 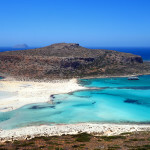 Ialissos: Together with Lindos and Kamiros, it used to be one of Rhodes’ thriving ancient cities. 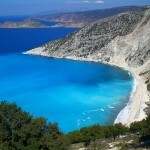 Nowadays Ialisos is a popular tourist resort boasting of various amenities, a fabulous beach and of course important ancient sights. Visit the ruins of the ancient acropolis located at the hilltop of Filerimos, the 3rd c temples of Athena and Zeus, as well as the 14th c church of Panagia Filerimou. Kamiros: Another famous destination on Rhodes, thanks to its well preserved archaeological monuments; the ruins of the ancient city with the temple of Athena Kamirada, Agora, public buildings, private houses, as well as the nearby necropolis, are testimonies of the area’s 6th and 5th c wealth and glamour. Epta Piges (eng Seven Springs): This enchanting, refreshing green valley is indeed a small serene paradise; it’s comprised by seven natural springs that flow to a lake, lots of plane and pine trees, as well as many animal species. Walking the 150 m tunnel through which the water ends to the lake is a unique experience. 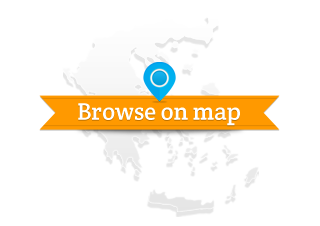 Contrary to the cosmopolitan and famous Rhodes, Symi, Kastellorizo, Chalki and Tilos are low key and among of the most unspoiled Greek islands. 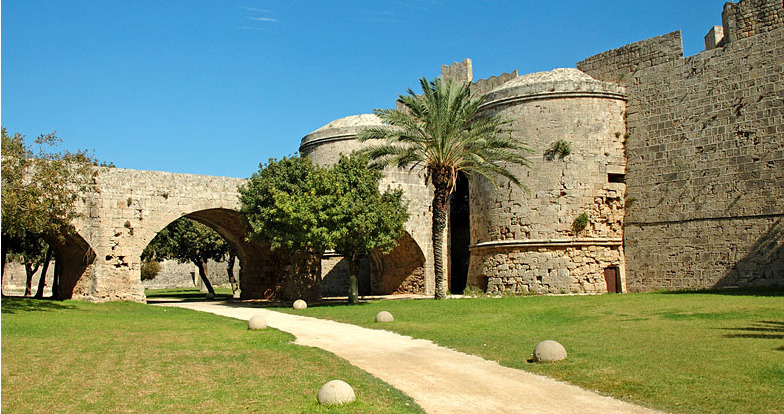 Discover their picturesque villages, interesting history and virgin beaches – you will be amazed. The island’s Old and New Town is the place to be and buy whatever you feel like. Souvenirs, as well as the local trademark products of Rhodes are a must; jewellery, embroidery and ceramics, but also ouzo, olive oil, honey and the traditional sweets melekounia (type of pasteli, made with sesame and honey). Rhodes’ traditional specialties include pitaroudia (chick pea nuggets with tomato), lakani (meat with red sauce) and soupiorizo (rice cooked in squid ink). Accompany your meal with the famed wines of Rhodes and of course try souma (the local version of the cretan alcohol drink raki). 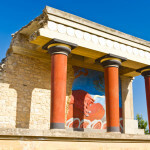 Located at the island’s Medieval Town, it displays the most important collection of works by 20th century Greek artists, available outside Athens. A real treat for art lovers. No text reviews of Rhodes exist. You can be the first one to review Rhodes.